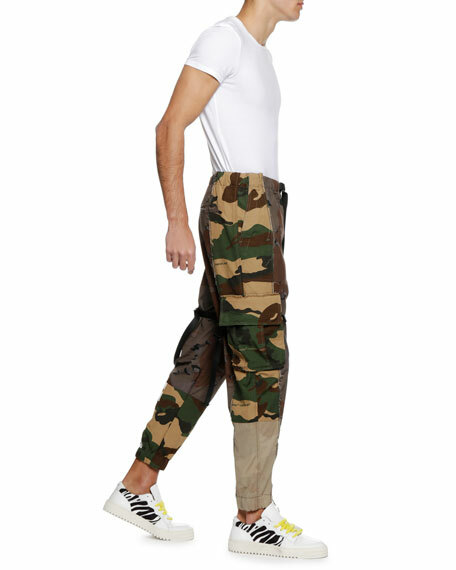 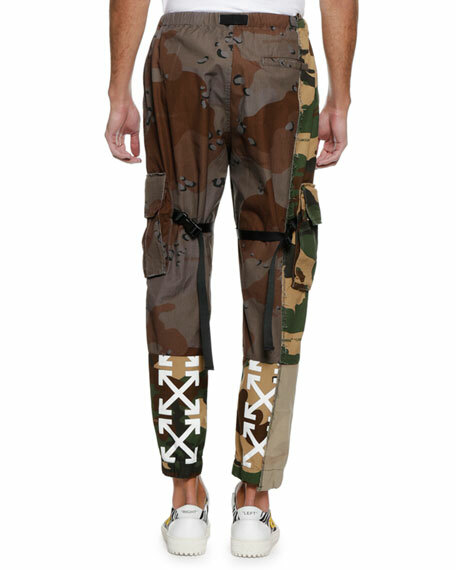 Off-White cargo pants in camo-print twill with "'Reconstructed'" quote print. 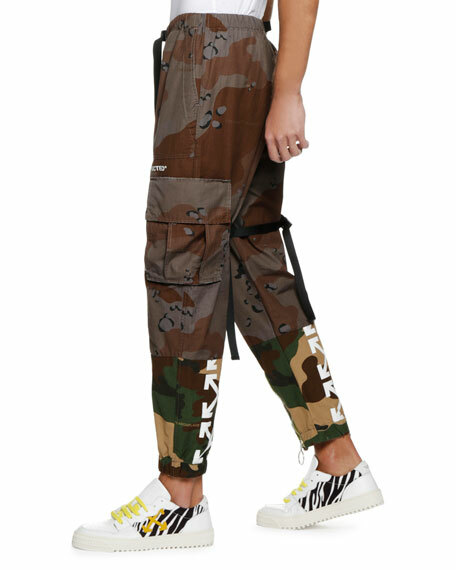 Side pockets; back welt pocket. 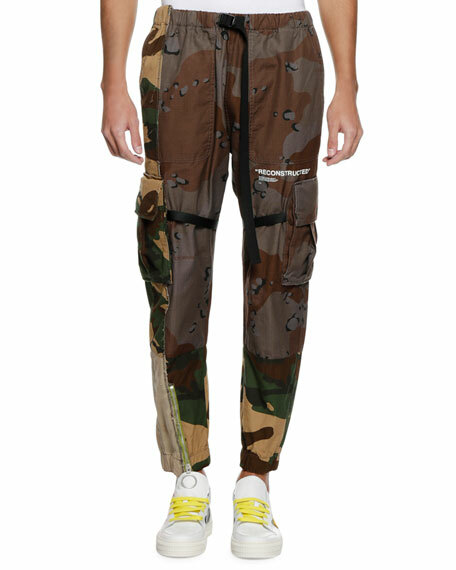 For in-store inquiries, use sku #2715576.